The bathroom is one of the most important rooms in the house for relaxation. It is the place where you get to use your Lush bath bombs after all! In fact I’ve just had a lovely bubble bath this morning – you can’t beat a steamy hot bath while watching Riverdale on Netflix – heaven! Probably the most important element in a relaxing bathroom is the bath – like the ones here. 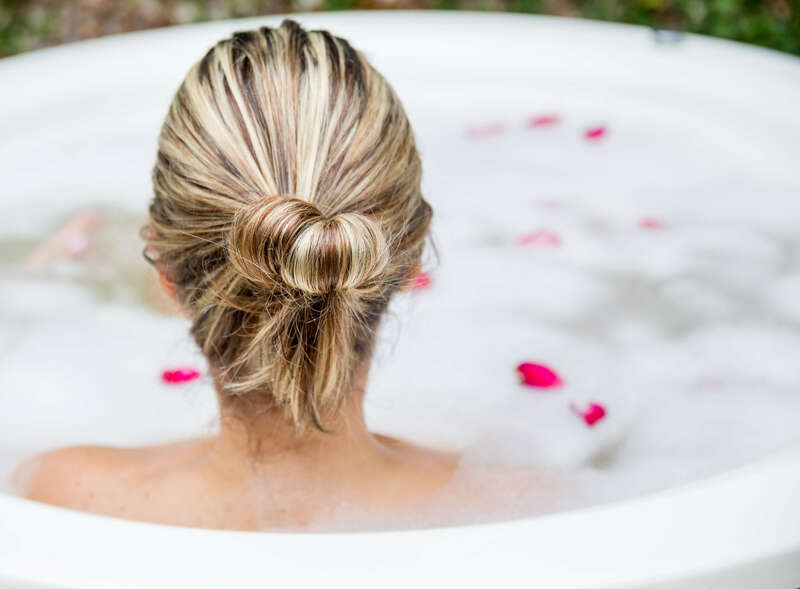 The key to a relaxing bath is a large one with plenty of space for lying in, a bath pillow to rest your head on and a wooden plank for holding your glass of wine and a book or the iPad. Add bath bomb from amorbathbombs.com or some indulgent bubble bath and forget about the world for an hour. You are also going to need your shampoo, conditioner and some soap!! We recommend Chanel No 5 Bath Soap, it smells delightful and the smell will last for at least 48 hours! Turn off the lights and light some candles for better relaxation – just try not to fall asleep! My favourite candles are Yankee Candles and I always go for white and cream candles. My favourite scents include Clean Cotton, Wedding Day and Fluffy Towels. Speaking of fluffy towels! Once your bath is over it’s the best feeling to get wrapped up in a great big fluffy towel. My favourite are the bath sheets from Marks and Spencer. For a calming atmosphere it’s best to keep your bathroom painting in neutral colours. Mine is cream, white and grey and matches the rest of my apartment. Add accent colours with plaques on the wall, bathroom furniture and maybe even the toilet seat – mine has fish in it! Obviously it goes without saying that you need to keep your bathroom clean, it’s really a place where germs love to congregate. You definitely won’t be able to relax properly if your bathroom isn’t super clean so make sure you give it a good going over at least once a week. Keeping your bathroom clean is essential for a relaxing moment. Bubbles and candles are just accessories that will make the experience better. So make sure that you are cleaning your bathroom very well.